Illustration of a barber doing the hair of a male customer. 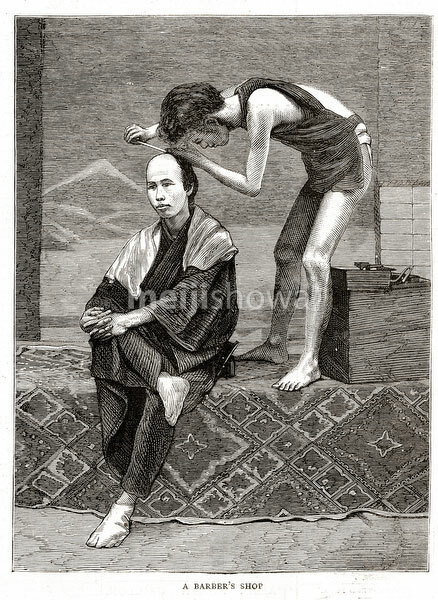 Until western hairstyles were promoted during the Meiji Period (1868-1912), Japanese men wore a chonmage topknot. Published in the British weekly illustrated newspaper The Graphic on June 18, 1881 (Meiji 14). Artwork by Canadian painter and illustrator Charles Edwin Fripp (1854-1906).